Killer Characters: Death of a Reenactor---and Giveaway! 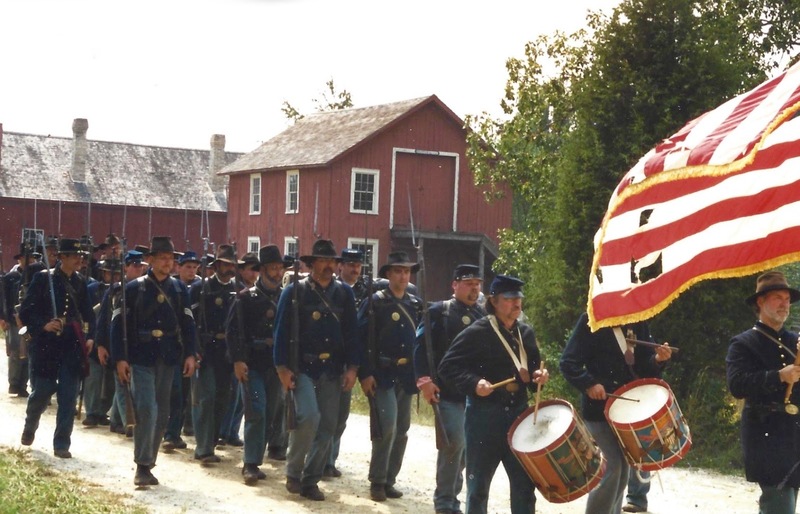 Death of a Reenactor---and Giveaway! All I want to do is host a stellar Civil War reenactment at the historic site where I work, Old World Wisconsin. I want to work with a small group of great reenactors, and focus on social history. My micromanaging boss, director Ralph Petty, wants a hokey mock battle with anybody he can shove onto the field and no particular care taken with authenticity. Our first planning meeting quickly devolved into a battle of its own. Petty actually threatened to fire me if the event did not go well. He's tried before. My stress faded a bit when I met Gunter, leader of a top-notch reenactment group. We walked out to the 1860 farm restored on site, once home to German immigrants. Everything will be OK, I promised myself. Gunter had some great ideas about programming. As we approached the farm, an interpreter was shooing geese toward the stable. When several darted behind the building, she hurried after them. She stopped abruptly. Then she turned and ran, long skirt held high, shrieking. We ran to meet her. Her eyes were huge, her cheeks white. She was one of the summer hires, a college kid with only a few weeks' experience. "Behind the stable--I--he was... Oh God." Her eyes welled with tears. "A man's hurt really bad." "Go call 911," I told her, and kept running. My skin prickled. I sent up a silent prayer: Please let the man be OK."
But when rounded the corner, my heart plummeted like a stone tossed into a kettle pond. A middle-aged man wearing a Union army uniform lay motionless on his back. The reenactor's head lay at an unnatural angle. His eyes were wide, vacant, staring at the sky. One arm was flung wide. I think my Civil War reenactment is already doomed. Giveaway! 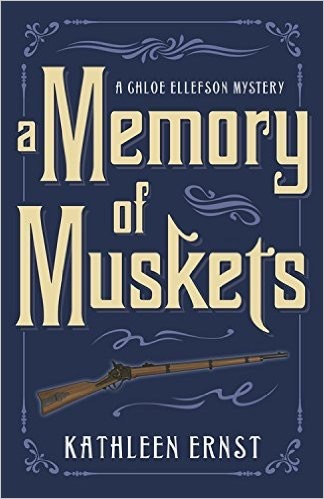 Leave a comment below, and you'll be entered in a drawing for a signed and personalized trade paperback copy of A Memory of Muskets. The Giveaway closes at midnight on July 19. The winner will be announced on July 20. Please either include an email with your comment or be sure to check back on the 19th. Happy reading! 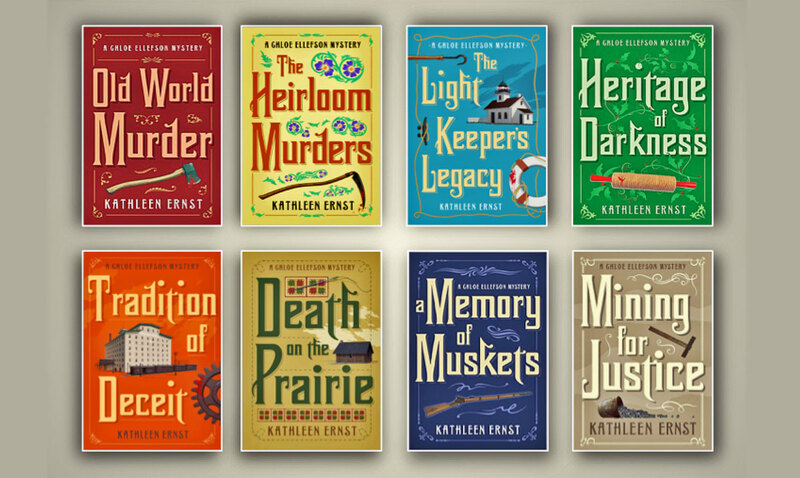 Kathleen is celebrating the series with an eight-month-long retrospective, and it's A Memory of Muskets month! Stop by her blog to learn more about the book, and watch her Facebook Author Page for another Giveaway. 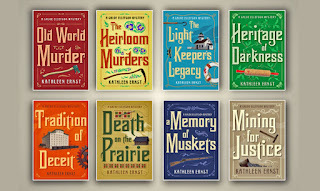 I have enjoyed reading Suzanne Adair's blog posts on reenactments and can imagine what fun mystery added would be. Thanks for the giveaway. This sounds really good. I love reenactments. I enjoy reenactments. We have one near my hometown, The Battle of Perryville. Thanks for the opportunity. Gloria, I've been to Perryville several times. Such a pretty area! I have never seen a reenactment, but it would be interesting to watch. Thank you for the giveaway. I love to read about the Civil War, and I have been to one reenactment. Very interesting. I've never been to any historical reenactments. I think they'd be fun. Hi, Marlene Ezell here. This books sounds so exciting. I live close to several revolutionary and civil war battle grounds. I used to go to reenactments all the time. Thanks for the giveaway. I have been to a couple of Civil War reenactments and they were so interesting to see. Book sounds like a great read, love history featured in mysteries. I haven't read this series yet. It's on my list. I watched a movie set just after the Civil War last night. Fresh in my mind. I've never been to an reenactment but maybe, someday. Love this series! I love history and reading in general but I know for sure I would not have wanted to be alive during the time of the Civil War. (Can you imagine how hot those dresses were even in the winter?!) I would love to start reading this series and as soon as funds are available, I plan to own the whole series! Thank you for writing great reviews and for fun giveaways! Darn, forgot to leave my email! A new to me author - love finding them and their books! This one sounds really great! Congratulations to Kaye Killgore! Her name came out of the hat a winner, and she will receive a signed & personalized copy of A Memory of Muskets. Thanks to all who entered, and happy reading! Thanks for the shout, Liz! Watching a reenactment is great fun, but it's phenomenal being a reenactor! You're immersed in the sensory impressions of the time period, plus you gain an understanding of the day-to-day challenges that someone from that era would have faced. I'd never have been able to transport my readers into the American Revolution without a decade of reenacting under my belt!